Yum! Eating Thanksgiving food the next day (and the next after that) is the best. 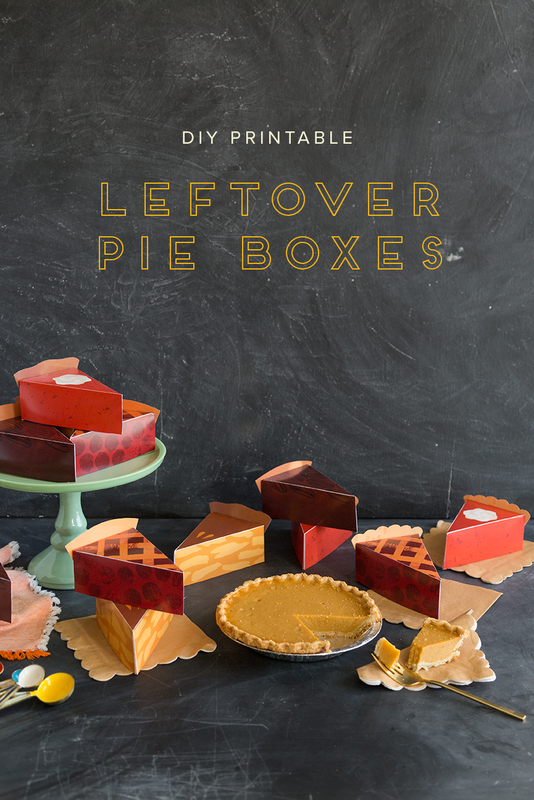 Send your guests home with some goodness with these DIY Printable Leftover Pie Boxes. They’re so cute, they can be part of your decorations!